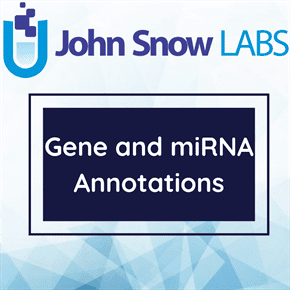 This dataset describes Information about 28,353 human genes and their miRNA annotations together with their Transcript ID, Gene ID, Gene symbol, Gene description, Species ID, Number of 3P-seq tags + 5 and Representative transcripts. The human and mouse databases started with Gencode annotations (Harrow et al., 2012), for which 3′ UTRs were extended, when possible, using RefSeq annotations (Pruitt et al., 2012), recently identified long 3′-UTR isoforms (Miura et al., 2013), and 3P-seq clusters marking more distal cleavage and polyadenylation sites (Nam et al., 2014). Zebrafish reference 3′ UTRs were similarly derived in a recent 3P-seq study (Ulitsky et al., 2012). Vikram Agarwal, George W Bell, Jin-Wu Nam, David P Bartel. Predicting effective microRNA target sites in mammalian mRNAs. Computational and Systems Biologygenomics and Evolutionary Biology; AUG 12 2015.